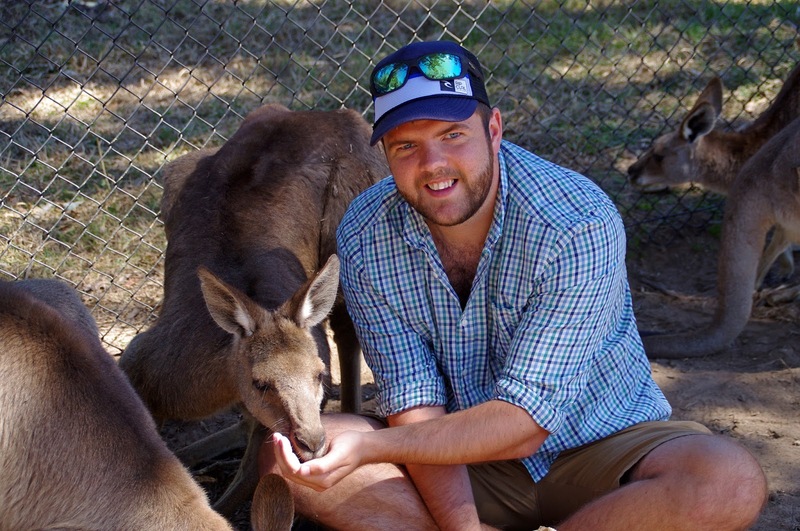 Leading up to our Australia trip Dan started to get excited about all the Australian wildlife he’d be meeting whilst we were over there. 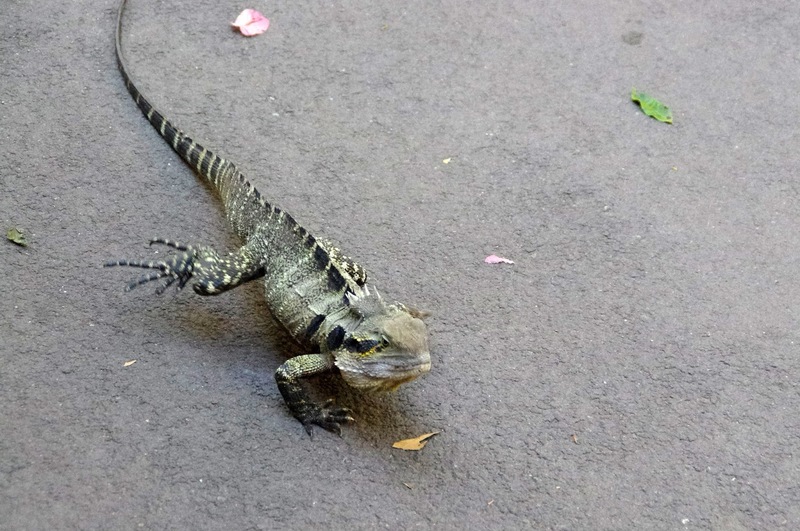 I also did catch him a number of times on YouTube watching videos of Kangaroos! 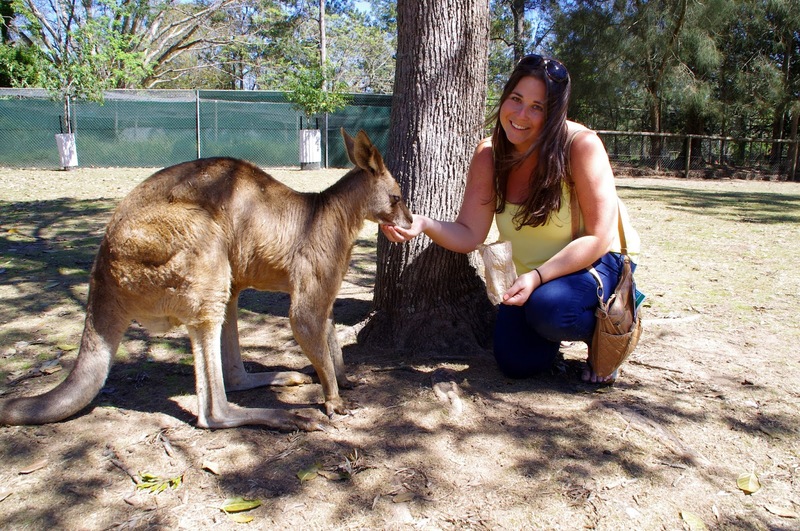 Whilst we were staying on the Gold Coast for Sam & Brooke’s wedding, we decided to take a trip to Lone Pine Koala Sanctuary in Brisbane. 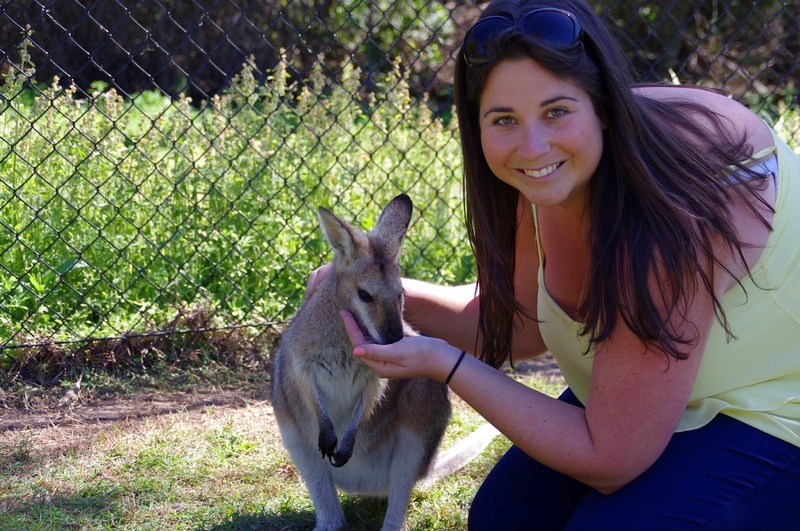 We spent our day cuddling Koalas, feeding kangaroos and visiting the many other animals that live in the beautiful, natural animal sanctuary which is spread over 18 hectares of native Australian bush land. 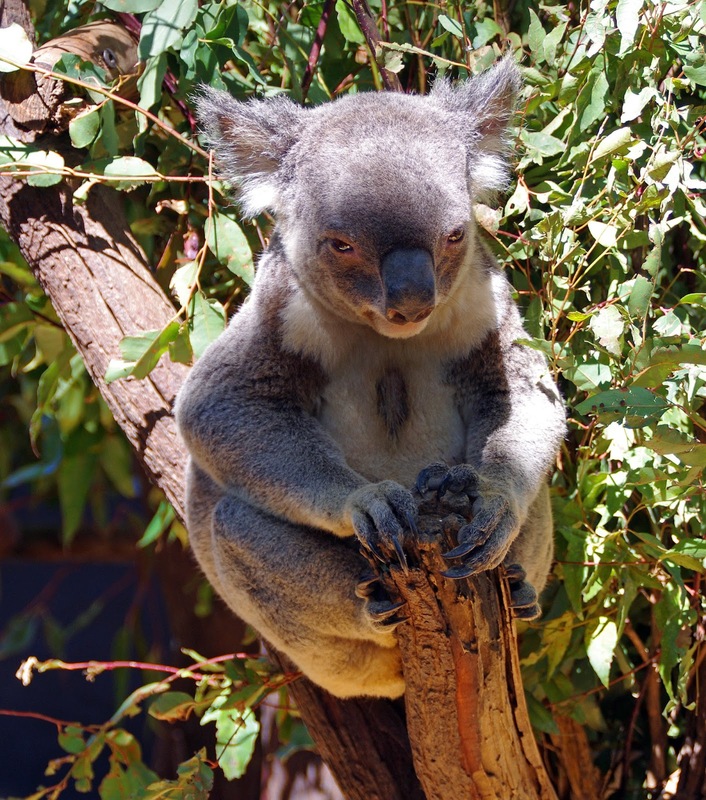 Lone Pine is located about an hour drive from the Gold Coast and is the world’s oldest & largest Koala Sanctuary. 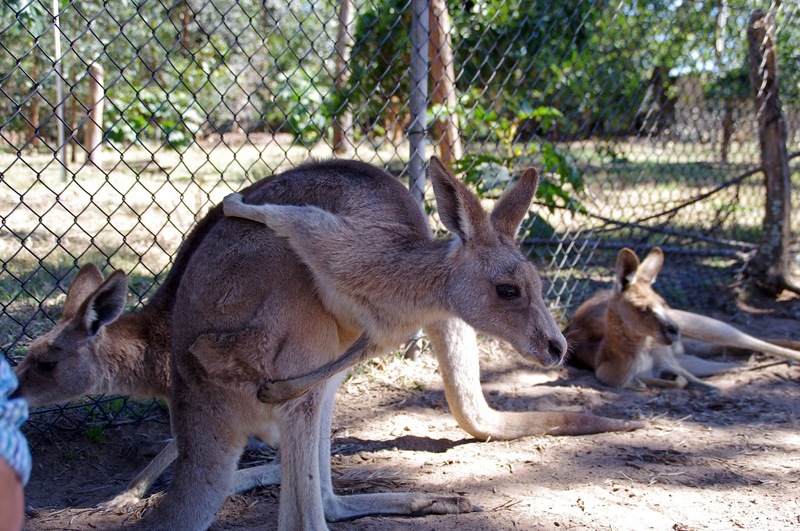 Australia is well known around the world for our unique wildlife (some more cuddly than others) and most visitors to Australia are amazed by our animals. 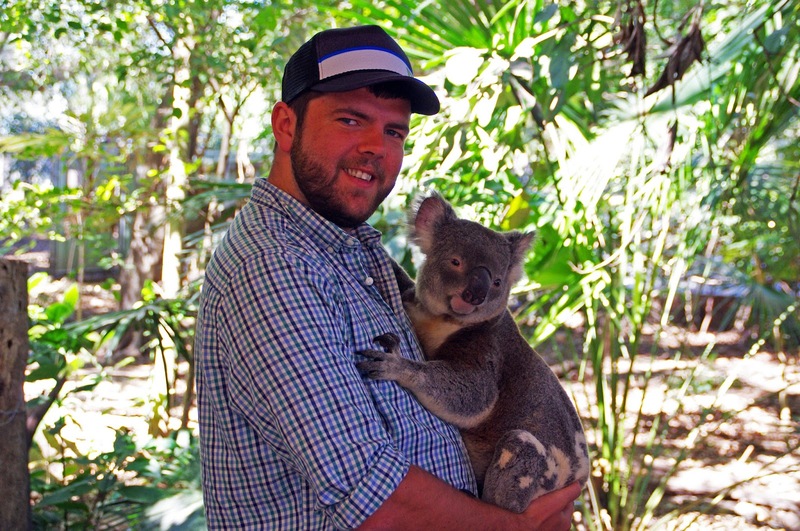 Lone Pine is one of the only places in Australia where you are able to cuddle Koalas and both of us were very excited for this experience. 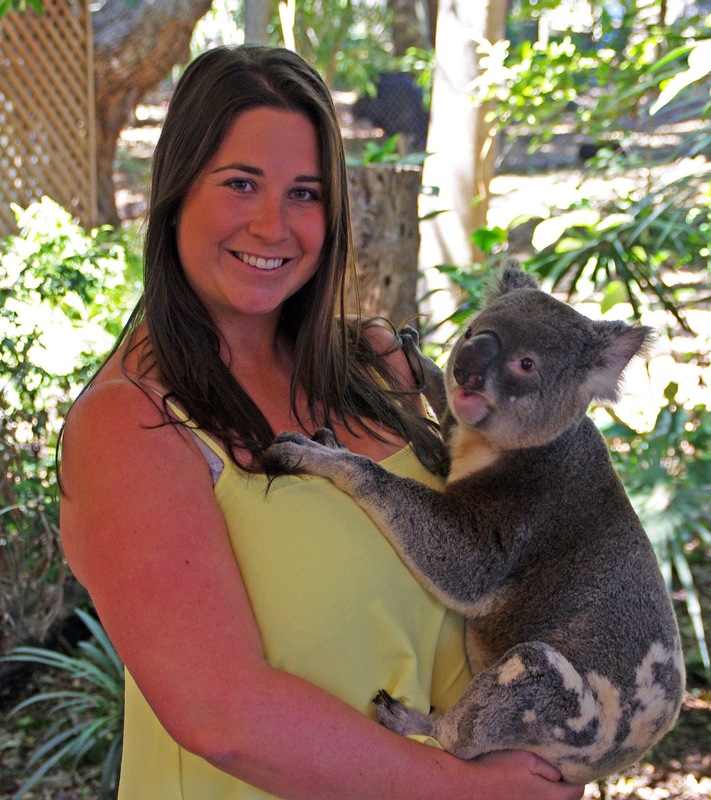 We’d signed up for Koala Cuddles and met our pal Byron the Koala. 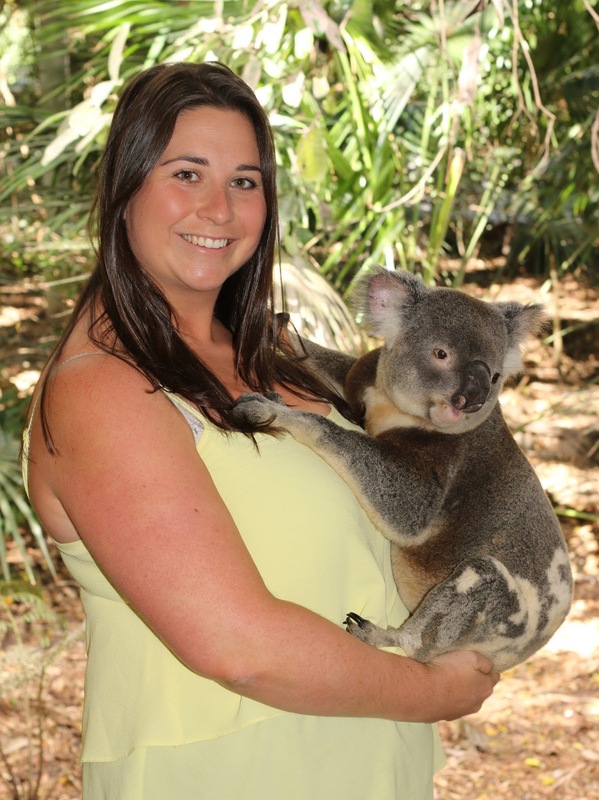 Once you pay for a Koala Cuddle ($18) you are then able to take photos on your own camera as well. 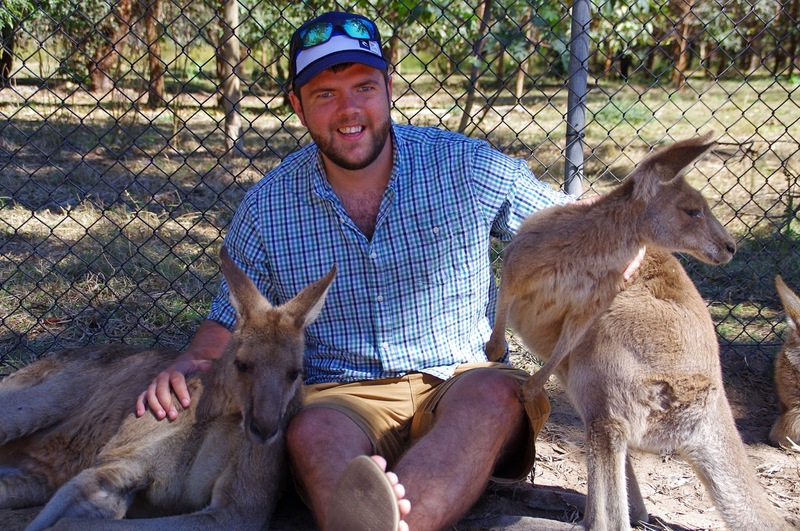 Byron was very cute and cuddled up for a few snaps with us, he certainly liked Dan more than me though! 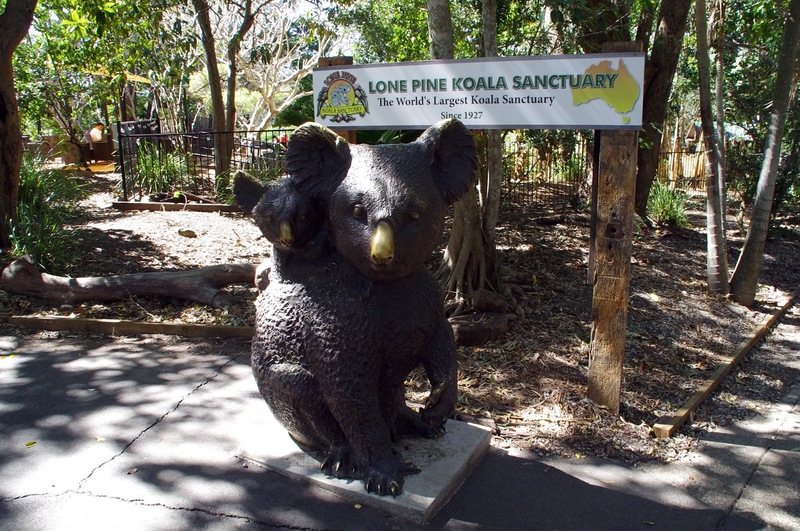 Lone Pine care for over 130 Koalas and it was great to see that their enclosures were natural and open, just as if they were living in the wild but here they receive the best of care. 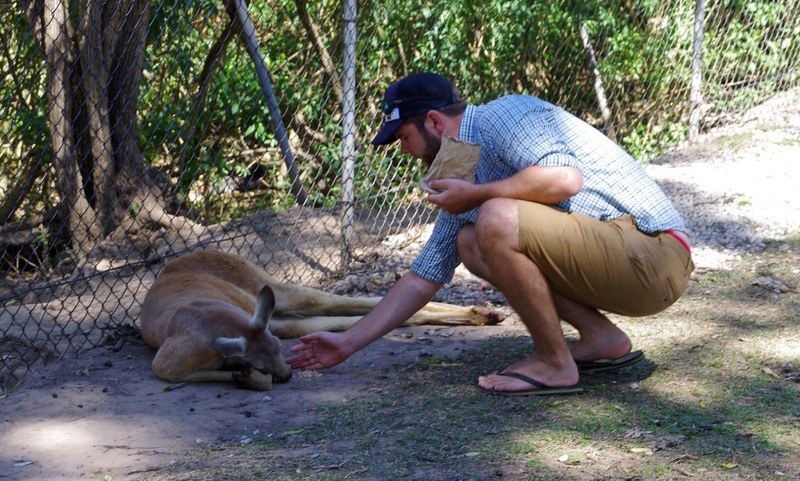 You can buy bags of Kangaroo feed in the shop and Dan decided that we needed to buy 5 bags. 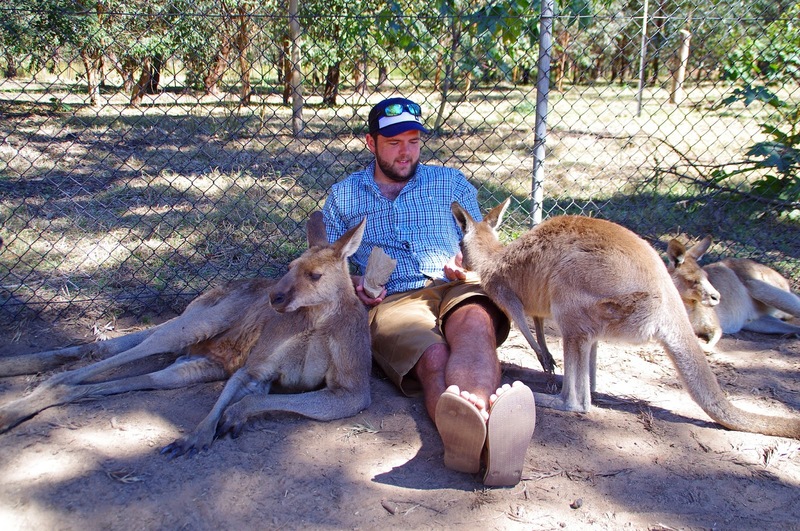 We headed straight over to some Kangaroo’s and wallabies who were relaxing in the shade and Dan sat down and made friends immediately (I think the excessive amounts of Kangaroo food helped)! 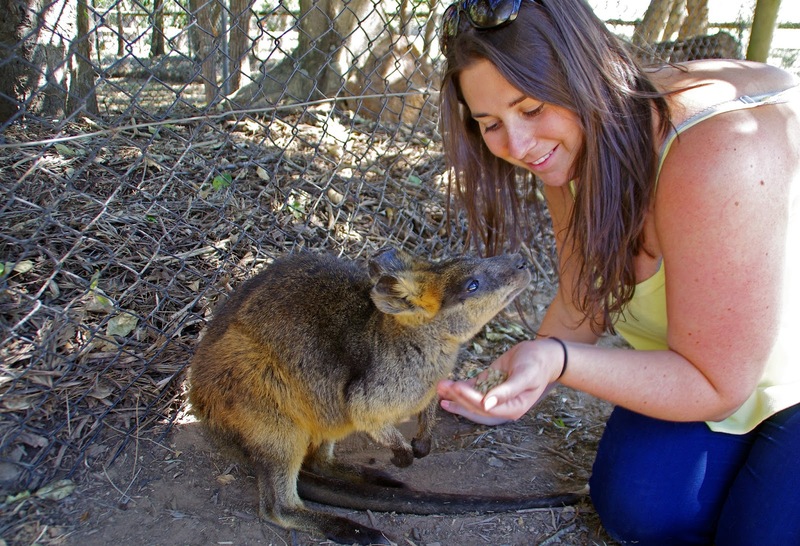 I loved the little wallabies, they were so soft, sweet & cuddly. 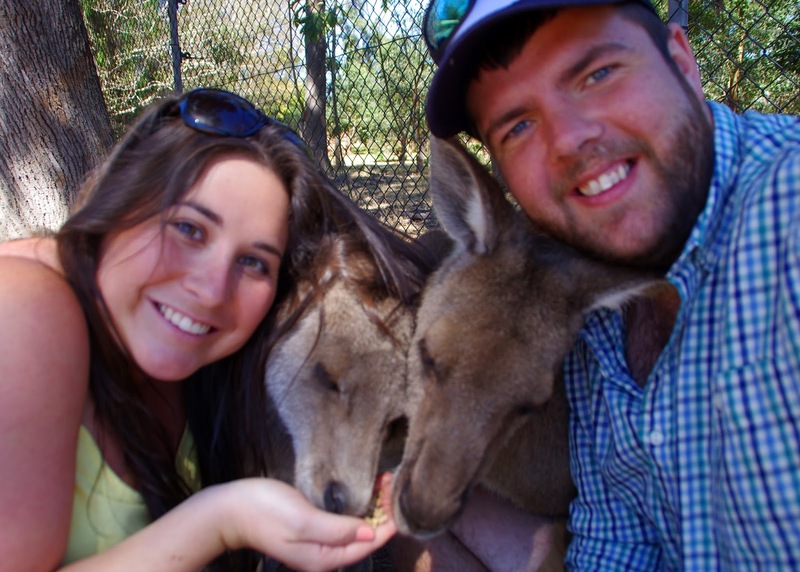 In typical tourist fashion… we took the best selfie we could! 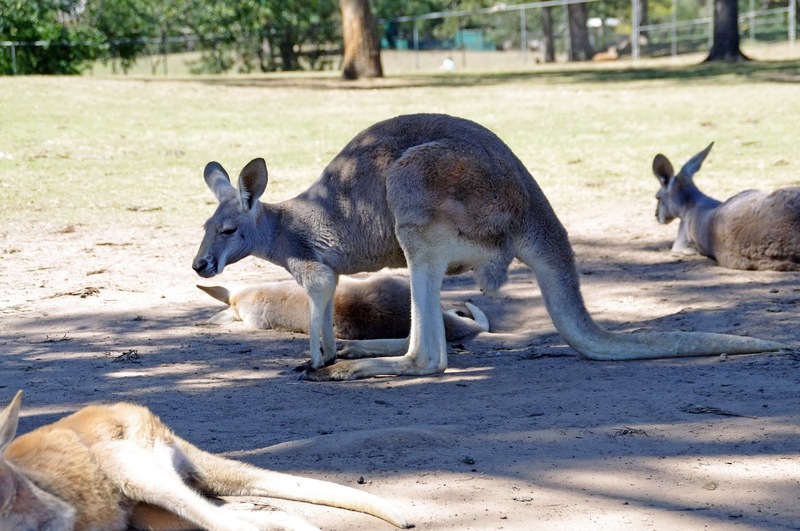 We spent most of our time at Lone Pine hanging out with the Kangaroos and on our way out we wandered back past the sleepy Koalas. 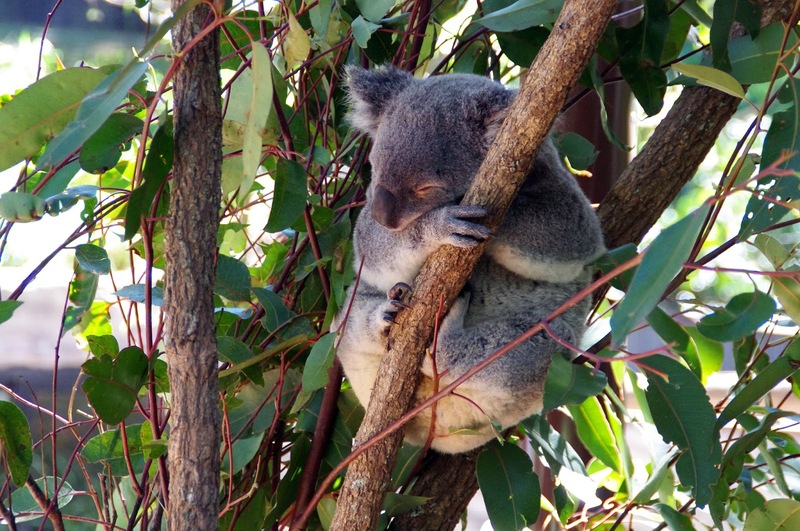 Did you these cute, cuddly Koalas sleep for at least 16 hours a day! What a life! 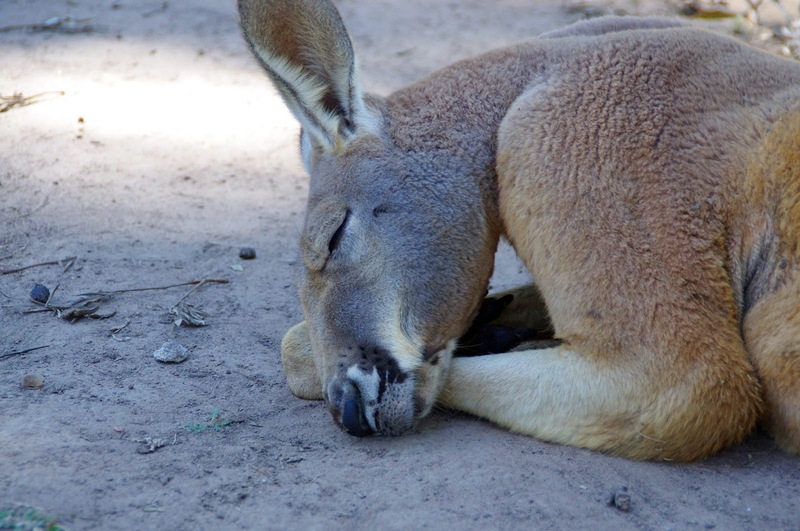 It was a pretty warm day so a lot of the animals were dozing. 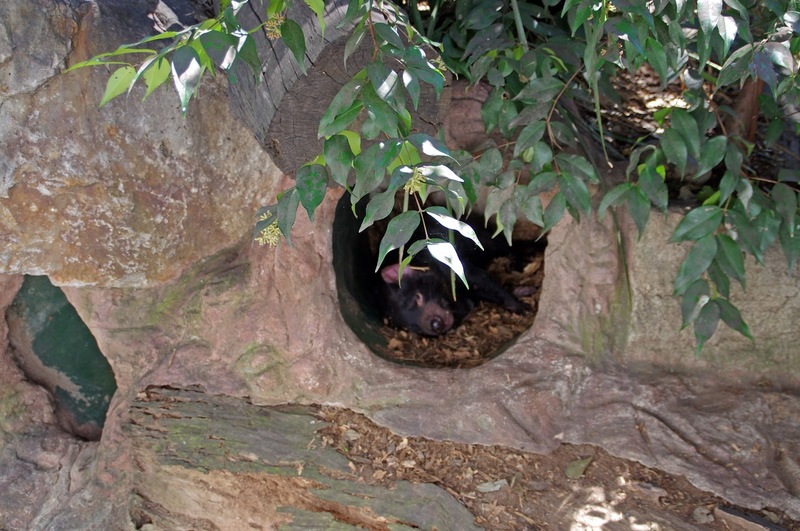 We stopped to see this little Tasmanian Devil who was snoozing away in his enclosure, just like the bats! 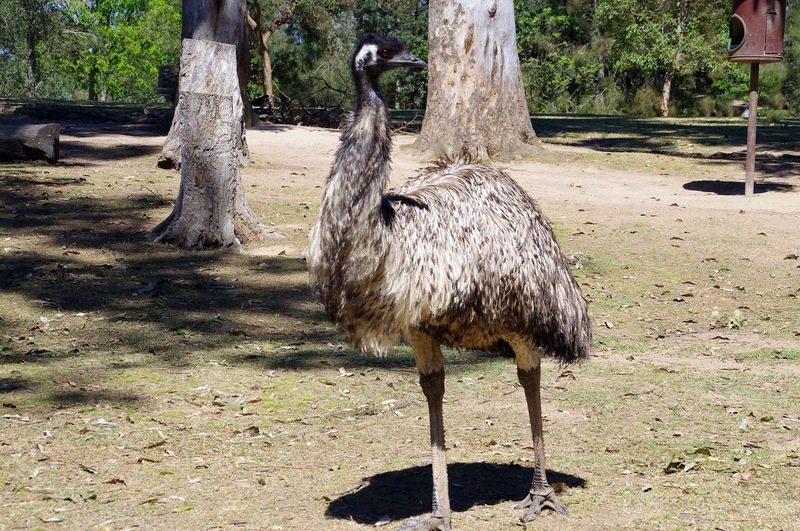 Lone Pine also has reptiles, crocodiles, platypuses, dingos, rainbow lorikeets, barn animals and sheep dogs. 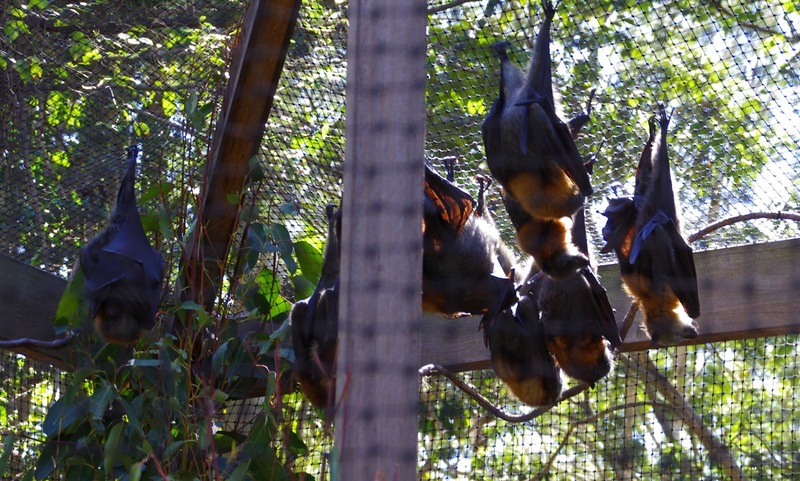 There is also a number of shows, animal encounters, feedings and presentations held throughout the day. 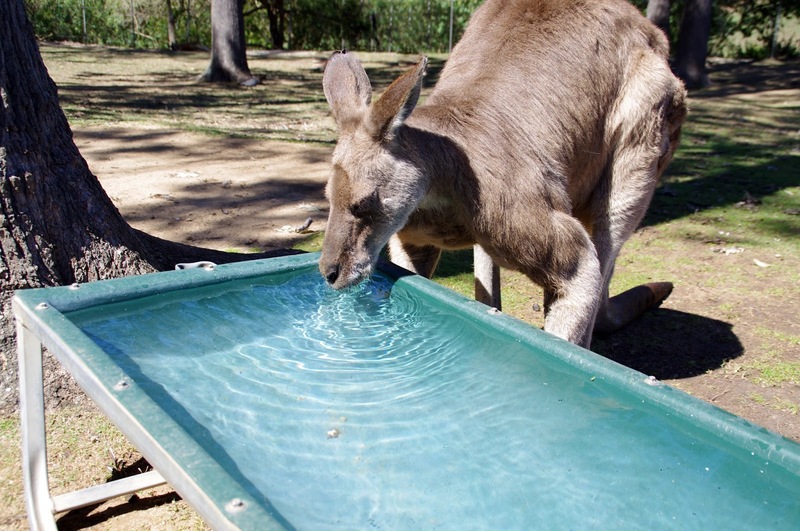 We unfortunately only had a few hours to spend at Lone Pine so didn’t get around to see them all, but we could have easily spent an entire day here. 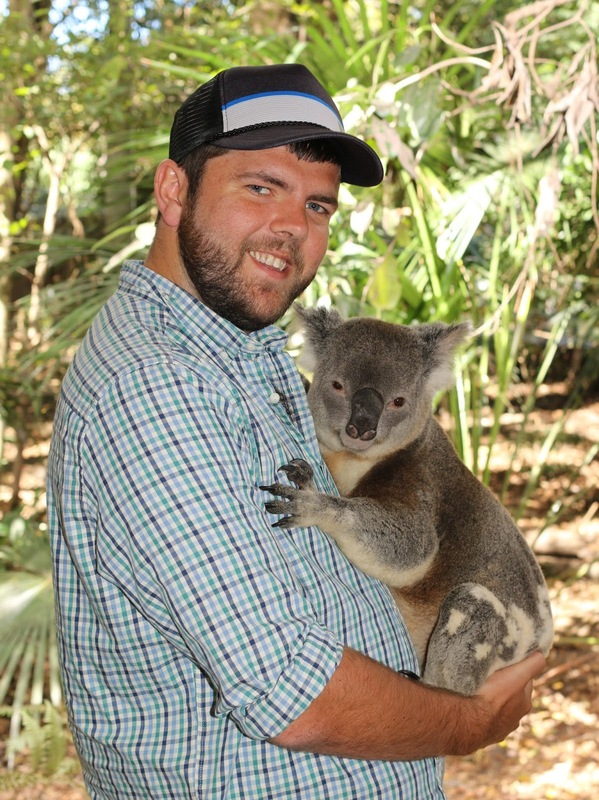 We had a fantastic time at Lone Pine, getting up close and personal with some Aussie animals, and Dan was very happy to have finally been able to pat a Kangaroo! 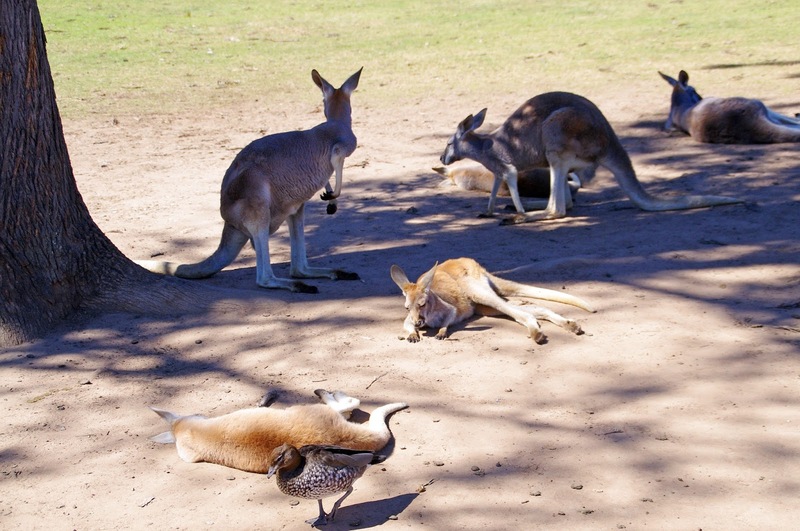 I highly recommend a day trip to Lone Pine for any animal lovers wanting to meet some native Australian animals in a beautiful, natural bush land setting. 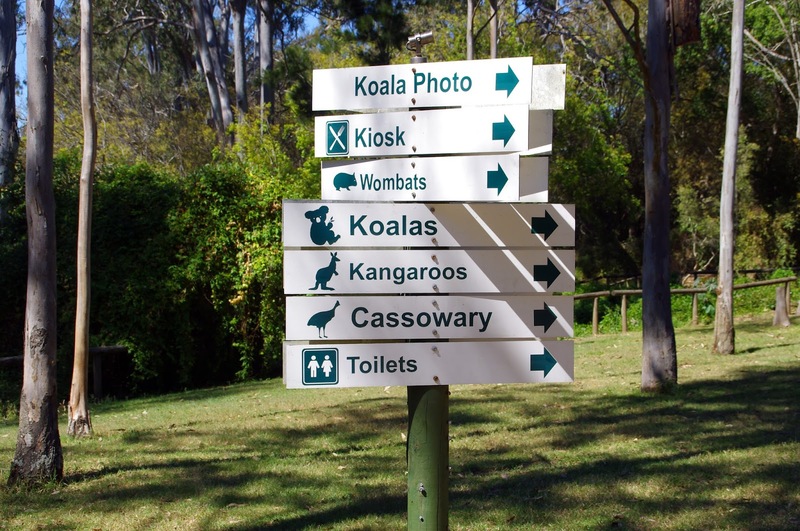 Make sure you leave yourself plenty of time to explore properly as you could easily spend a whole day here. 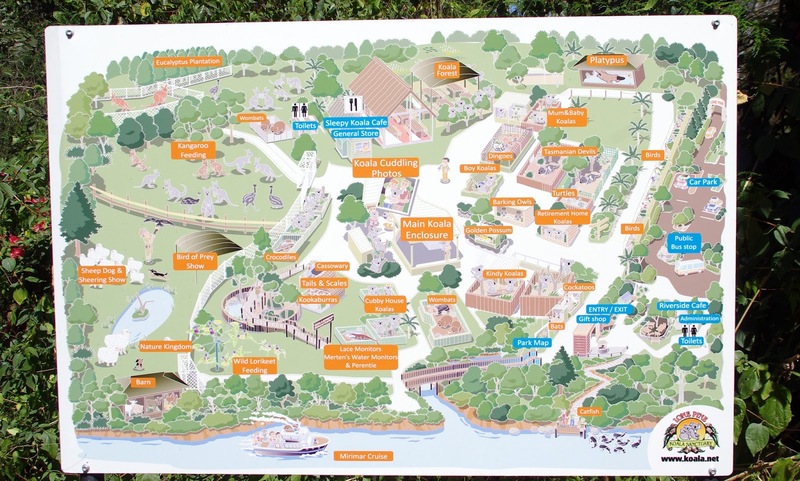 There is free parking provided for guests and if you don’t forget to pack a picnic lunch there is a cafe where you can purchase food and drinks from.